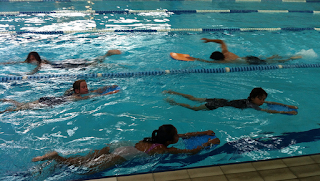 Hannah @ Pt England School: My story about the swimming pools. One lovely morning on a summers day, we went to the swimming pool just for a day. To the YMCA pools my favourite place, I went in with a great big smile on my face. Getting into my togs I looked just like a frog. When I went into the pool I had some time off school. You have used heaps of topic words. KEEP UP THE AMAZING WORK HANNAH!!!!!! like about your story is you got good words in your story. Keep up he good work hannah.